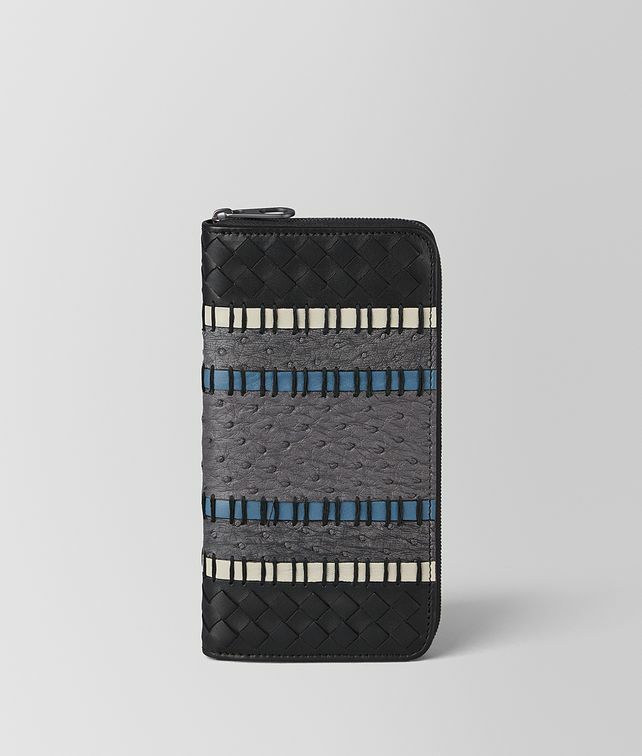 Rich with texture, this zip-around wallet is crafted from antique ostrich leather and hand-woven nappa. The panels are joined together by smooth nappa stripes accented with decorative black hand-stitching. The nappa interior is fitted with twelve credit card slots, two compartments for notes and a zip pocket for coins. Finished with signature brunito hardware.